Dr. Mark Kindy is a biochemist/neuroscientist and Professor/Associate Chair for Research in the Department of Regenerative Medicine and Cell Biology and Neurosciences at the Medical University of South Carolina and a Senior Research Career Scientist/Deputy Associate Chief of Staff for Research at the Ralph H. Johnson VA Medical Center in Charleston, SC. He received his BS from the University of Massachusetts in Zoology and PhD from Boston University School of Medicine in Biochemistry. He was a postdoctoral fellow at the Salk Institute. 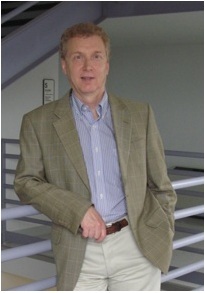 Dr. Kindy started his faculty career at the University of Kentucky School of Medicine in the Department of Biochemistry and the Center on Aging. His area of expertise is neurodegenerative disorders, animal modeling, mechanisms associated with diseases and regeneration of the brain. 1. Stepp, M.A., Kindy, M.S., Franzblau, C. and Sonenshein, G.E. (1986) Cloning of type III collagen and expression in aortic smooth muscle cells. Annals N.Y. Acad. Sci. 460:510-513. 2. Stepp, M.A., Kindy, M.S., Franzblau, C. and Sonenshein, G.E. (1986) Complex regulation of collagen gene expression in cultured bovine aortic smooth muscle cells. J. Biol. Chem. 261:6542- 6548. 3. Dean, M., Levine, R.A., Ran, W., Kindy, M.S., Sonenshein, G.E. and Campisi, J. (1986) Regulation of c-myc transcription and mRNA abundance by serum growth factors and cell contact. J. Biol. Chem. 261:9161-9166. 4. Kindy, M.S. and Sonenshein, G.E. (1986) Regulation of oncogene expression in cultured aortic smooth muscle cells: Post-transcriptional control of c-myc mRNA. J. Biol. Chem. 261:12865-12868. 5. Kindy, M.S., McCormack, J.E., Buckler, A.J., Levine, R.A. and Sonenshein, G.E. (1987) Independent regulation of transcription of the two strands of the c-myc gene. Mol. Cell. Biol. 7:2857-2862. 6. Kindy, M.S., Chang, C.J. and Sonenshein, G.E. (1988) Serum deprivation of vascular smooth muscle cells enhances collagen gene expression. J. Biol. Chem. 263:11426-11430. 7. Glenney, J.R., Kindy, M.S. and Zokas, L.M. (1989) Isolation of a novel Ca++-binding protein with sequence similarity to s-100 but having a distinct tissue distribution. J. Cell Biol. 108:569-578. 8. Reilly, C.F., Kindy, M.S., Brown, K.E., Rosenberg, R.D and Sonenshein, G.E.. (1989) Heparin prevents vascular smooth muscle cell progression through the G1 phase of the cell cycle. J. Biol. Chem. 264:6990-6995. 9. Kindy, M.S. and Verma, I.M. (1990) Developmental expression of the xenopus laevis c-fos protooncogene. Cell Growth & Differentiation, 1:27-37. 10. Dempsey, R.J., Carney, J.M. and Kindy, M.S. (1990) Inducible ornithine decarboxylase expression in brain subject to vasogenic edema after transient ischemia: relationship to c-fos gene expression. Acta Neurochir. Suppl. Wien. 51:189-191. 12. Mann, J.S., Kindy, M.S., Edwards, D.R., and Curry, T.E. Jr. (1991) Hormonal regulation of matrix metalloproteinase inhibitors in rat granulosa cells and ovaries. Endocrinology. 128:1825-1832. 13. Carney, J.M., Carney, J.P., Tolliver, B. and Kindy, M.S. (1991) Selective effects of methamphetamine on mRNA expression and behavior in gerbils. J. Neuropharm. 30:1011-1019. 14. Kindy, M.S., Brown, K.E., and Sonenshein, G.E. (1991) Regulation of expression of the growth staterelated genes 2F1 and 2A9 during entry of quiescent smooth muscle cells into the cell cycle. J. Cell. Biochem. 46:345-350. 15. Kindy, M.S., Srivatsan, M. and Peretz, B. (1991) Age-related differential expression of neuropeptide mRNAs in Aplysia. Neuroreport. 2:465-468.